The very first fougère fragrance was created by Houbigant in 1882. Discontinued in the fifties, but relaunched in 1988. It was once again discontinued and revived once more in 2010. There are 43 reviews of Fougère Royale. Transcendent. What else can be said for this 137 year olde granddaddy of Fougeres? And it's amazing that it has as much to offer today as ever. It's as relevant today as any mens fragrance. Several other reviews have nailed down the details more eloquently than I can, but I will say this with confidence. Every serious fragrance loving man should have this in his collection. The fougere genre is a very prominent one in mens' fragrances and actually represents the first time a synthetic aromachemical was used - coumarin, to replicate the scent of tonka beans. 'Fougere' means fern in French and it was thought that if ferns had any scent, they would smell like a mixture of aromatic lavender, oakmoss, and coumarin. 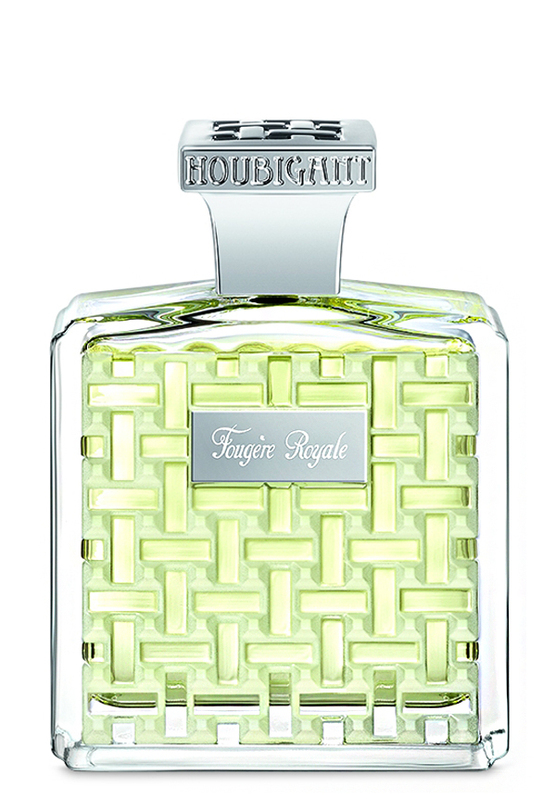 Houbigant's Fougere Royale was in fact the first fougere fragrance in history and from which the genre is named. The original formulation of Fougere Royale is nowhere to be found (as it came out over 200 years ago) but fortunately for us, Houbigant released a modern re-issue of the fragrance in 2010. As for the scent, it is an interesting blend of oriental and green fougere notes. To my nose, I detect a very herbal and old-fashioned lavender being the dominant note along with geranium, on a background of green notes, as well as very strong notes of chamomile, tonka beans, cinnamon, and amber that together give the impression of caramel. It smells as if you mixed a traditional fougere with an oriental amber fragrance. I am sure the original Fougere Royale did not smell like this, but I quite enjoy the modern re-issue all the same simply due to its uniqueness in this regard. The overall vibe of the scent I get is a brownish-green (the brown from the amber, and green from the fougere notes). Sillage is moderate while longevity is also quite good at about 8 hours on my skin. It is a well made and quality fragrance. It's rather difficult to be objective with the legendary ur-Fougère itself, considering it's creation gave rise to the most prolific genre in male-oriented perfuming. Everything made like Fougère Royale afterwards was classified as a "Fougère", as was everything before it that contained any traces of clary sage or tonka, which were the primary sources of coumarin, the scent's signature note. History states that Paul Parquet was the first to chemically isolate coumarin away from tonka, so it could be used in higher concentration within the design of a fragrance itself, a process that introduced the first creation to ever contain a synthetic note. Considering that actual fern has no real smell, this "Fougère" or fern-like in French, was a first in suggestive fragrance in much the same way the later Jicky by Guerlain (1889) was the first abstract fragrance not to really resemble anything suggestive or literal. 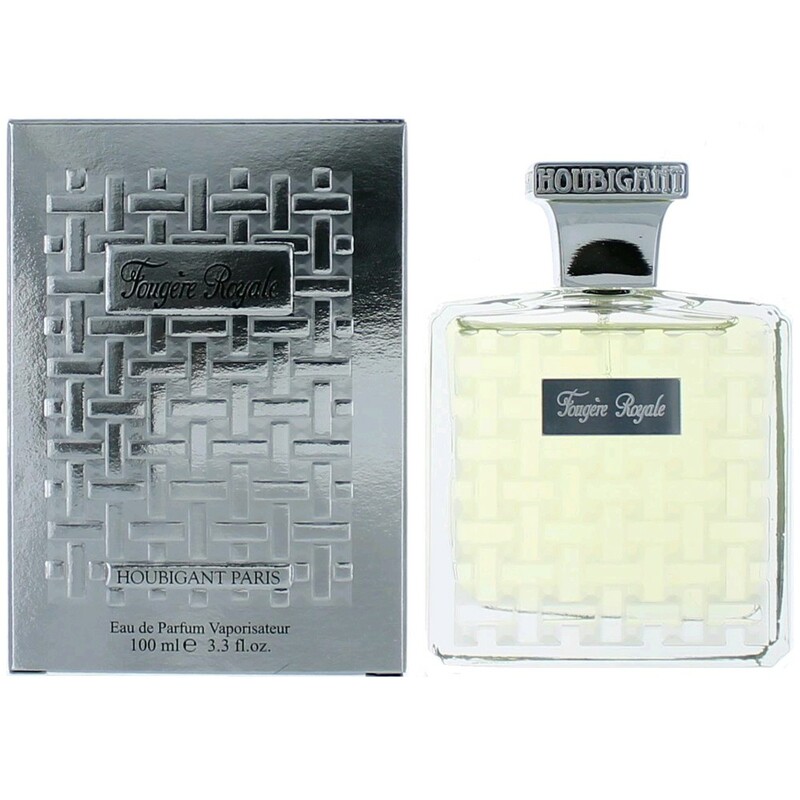 What's perhaps most remarkable then, is upon actually experiencing Fougère Royale, is the discovery of a timeless beauty that clearly contains the parent DNA of all the best "Fougères" to come out since it's inception, but also a scent decidedly wearable in the modern age. Yes, it will scream 1800's coming out of the bottle, especially in it's newer eau de parfum concentration, but there is such a recognizable freshness to this present in all of the other Fougères it's spawned that it still feels appropriate. Lastly, this might be the daddy of all fougères, but it is -not- a barbershop scent like many of it's children, a revelation to me when I first smelled it, but making sense upon later reflection. 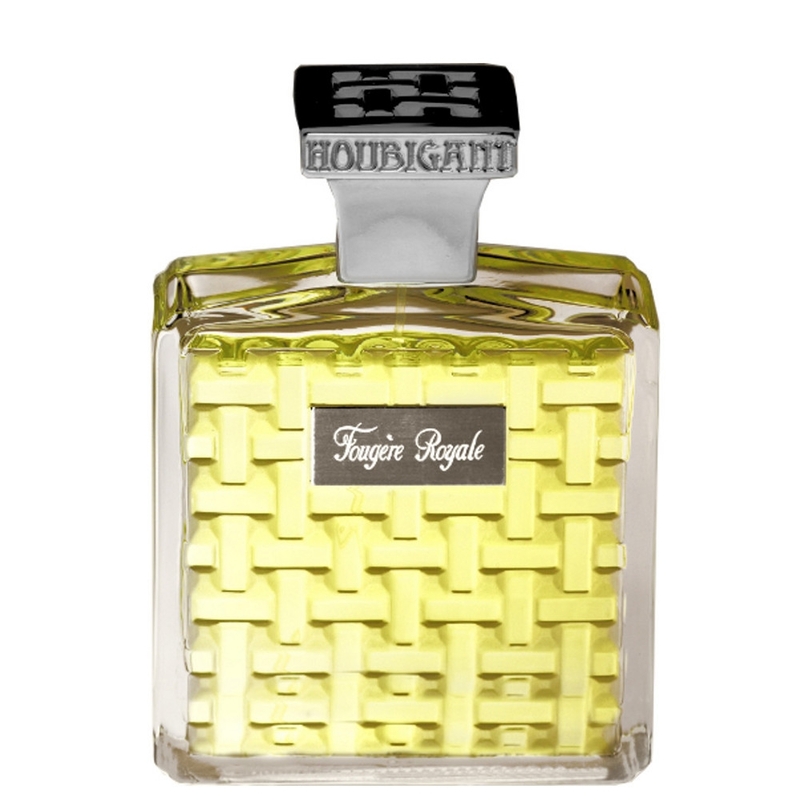 Fougère Royale opens with a very scary and shrill sage note, flanked by bergamot and lavender. This immediately confused me and had me thinking that perhaps my batch had spoiled because I was just so used to a blast of lavender opening these things up, with everything from Pour Um Homme de Caron (1934), Canoe (1936), Brut (1963), British Sterling (1964), Paco Rabanne Pour Homme (1973) Azzaro Pour Homme (1978), Tuscany Per Uomo (1984) Eternity for Men (1989) all the way through Rive Gauche Pour Homme (2003) and Sartorial (2010) all opening with lavender accords of various sweetness or dryness. However, this is where the twist in the tale must have occurred, for Fougère Royale does NOT cast lavender in a leading role in the top notes, but rather has it playing accompaniment with floral bergamot so that bitter sage can come out swinging. Don't let that fool you into thinking this is another overly-dry Victorian exercise, as again, the barbershop connection wasn't there. Fougère Royale doesn't grow powdery or piquant, but instead becomes sweet and sunny with a floral bouquet in the middle, containing rose, heliotrope, carnation, geranium, and the odd orchid in a legendary transition into the long-since-standard fougère base notes. Oakmoss, coumarin from that aforementioned tonka, musk, and a just a touch of vanilla complete the transition to a skin scent. The complete experience does indeed mimic the impression of a lush garden grove or dewy forest floor, but that which is found in the mind's eye of a 19th century dandy, rather than a earth-covered gardener. I think it's the sweet frailty of the floral heart and tart, almost funky opening that mark this as a scent over 100 years old, but the sophisticated blending and overall dynamic between the bright top and bold base that keep it timeless and contemporary. Granted, really vintage versions of this probably have richer mosses, real animal musks, and less of the top note presence because of it, but even in it's modern form it oozes antique Belle Epoch charm and earnest construction. Because of the barbershops churning out rounder, richer, more powdery Fougère scents that became associated with casual use in later years, the "ur-Fougère" comes off as too fancy for everyday use, unless your daily job is as an executive officer of a Fortune 500 company. This stuff could easily go toe-to-toe in a room full of modern Creed, Xerjoff, and Byredo users, but won't stand out as stuffy or old-fashioned due to it's avoidance of stereotypes that ironically the scents which came -after- it would create. 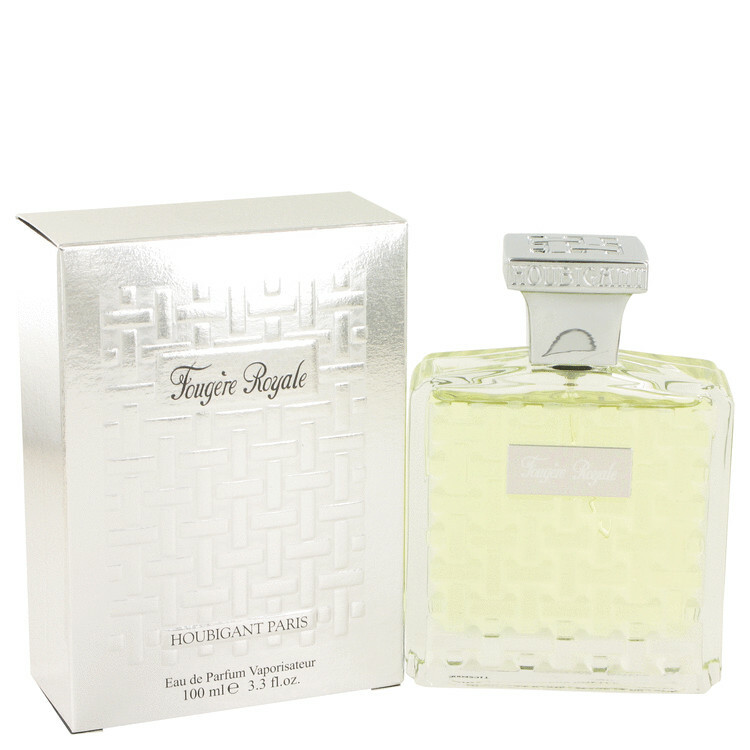 I think Fougère Royale perfectly romantic, great for a day outing with friends, loved ones, or formal use. I wouldn't take it to work because it's florals are just too amorous to feel appropriate in that context, and avoid using it on a sweltering hot day because it does get a little warm at the end. Does it live up to all the hyperbole and historical significance it has? Well, nothing really can, so the answer is no. It's not a scent for everyone even if it did create a precedent that would be copied and remodeled a million times over into something that you've undoubtedly tried and liked somewhere. It's most certainly worth testing if not owning, and for those who enjoy it's green-by-proxy design, all sense of antiquity slowly fades and just the perfume itself lives on in the mind, which is what Paul Parquet probably intended all along. P.S. : This is every bit perfume strength, so expect monster silage and longevity. For an old fragrance, FR smells pretty modern. I know it's been reworked from the original composition and the oakmoss is synthetic etc., but I'm impressed. It's not the lavender bomb I was expecting. In fact, the lavender is a short lived top note and the heart is a modern floral musk. I know there's rose in the mix and maybe a sweet green element over a musk and tonka/vanilla. After the first 30 minutes it stays a fairly linear green floral with the sweet musk base. One of the things I like about FR is none of the floral heart notes really dominate the scent. It's got good balance and reminds me of one of the superbly blended Middle Eastern scents. I imagine FR was the Green Irish Tweed of the early 20th century before GIT was ever formulated. Not the same scent, but as pleasant to wear IMO. I'll easily give it a thumbs up. Welp...I finally tried Fougere Royale, albeit incredibly late to the party, I had to try this grand daddy of all fougere's! I'm glad I did, as I'm enjoying it. I definitely smell similarities to Amouage's Bracken Man. Obviously it's Amouage who has tailored Bracken Man after FR. There are still noticeable differences however. For one, Fougere Royale has a noticeable rose that is definitely not in BM. FG also has an effervescent/fizzy quality especially in the opening that is not unlike soda pop. It's a light soda...sort of what a "fern" ale would smell like if crafted in the manner of a ginger ale. Oddly, there is also a slight grape soda around the edges as well. I'm sure my attempts at describing what I smell are as strange as ever, but this is the way my smeller, "sees" things. I also pick up the cedar in Bracken Man, where there is none in FR. Finally, the heliotrope combined with the rose and orchid florals give FR just a slight smell of lip stick to my sensibilities. I like Fougere Royale and I'm glad I gave it a shot. It's not one I'd wear everyday, but it's definitely worth having in the rotation. Wow, from 1882. Sure doesn't smell like anything old or dated. It's sweet, green and clean. Very nice to smell. Not big on projection but it doesn't pull a disappearing act either. It's there, you can smell it. Creed Viking, does it has any similarities with Fougere Royale by Houbigant? Houbigant Fougere Royale Foreign objects/hair in liquid.